No matter how cell-phone dependent, and internet-wired we’ve become, many of our business offices still have their traditional, landline phone lines. These analog lines are still in place whether as a matter of course (we’re used to it) and/or as a backup system to VoIP – Voice Over Internet Protocol. And even for those of us whose companies have switched to VoIP, we still assume that our company’s telephony systems should be operated with equipment at our office, onsite. However, the technology has advanced to the point where the choice is ours: In-house VoIP, or Cloud VoIP? Yes, even an office telephone system can move to offsite management. Who’da thunk? Certainly feels like science fiction, come true. But then again, 5 years ago, would you have thought that everyone would have direct access to the Internet, and many communication media, via a small, rectangular device small enough to fit into their pocket? We’ve become a different culture, with feet on the ground, but data and operations in the sky. Therefore, it stands to reason that office telephony systems would also go the way of the Cloud. On-Premise VoIP Systems still have their place – many of our customers swear by them. And yet, as an IT provider, we move with the times, so we want to offer you the best value for your business, with highest reliability and ease of management. So, here goes – the top reasons why you might consider Cloud for VoIP operations. a. There’s no need for local setup, installation, or upgrades. Instead, you tap into a larger system that is already set up, and regularly maintained, on a grand scale. b. If you move offices, you don’t have to move, nor re-setup, your telephony system installation – because it’s in the Cloud. a. The host company maintains several portals in various locations, all under the umbrella of an infrastructure with strong multiple routing options. b. You can easily reroute calls to cell phones or other locations should there be a local power or internet service outage. 3) Enhanced Features Configurable Online. By now we’re used to the myriad point-and-click configuration choices offered via all kinds of online apps. So too with a Cloud VoIP system. While a traditional onsite VoIP system offers more choices than a landline system, a Cloud system goes several steps even further because the features are programmed by a central, regularly-updated service. You just access it via a website, and voila, your office features are configured whenever, and however, you wish. Many businesses are still used to a landline system. We certainly encourage you to move to a VoIP system as soon as possible, whether on-premises VoIP, or Cloud VoIP to begin taking advantage of the savings and reliability your business deserves. You might be worried you’ll lose your regular phone numbers, that the quality is lower, or that the VoIP isn’t secure, but today’s VoIP makes those concerns a thing of the past. 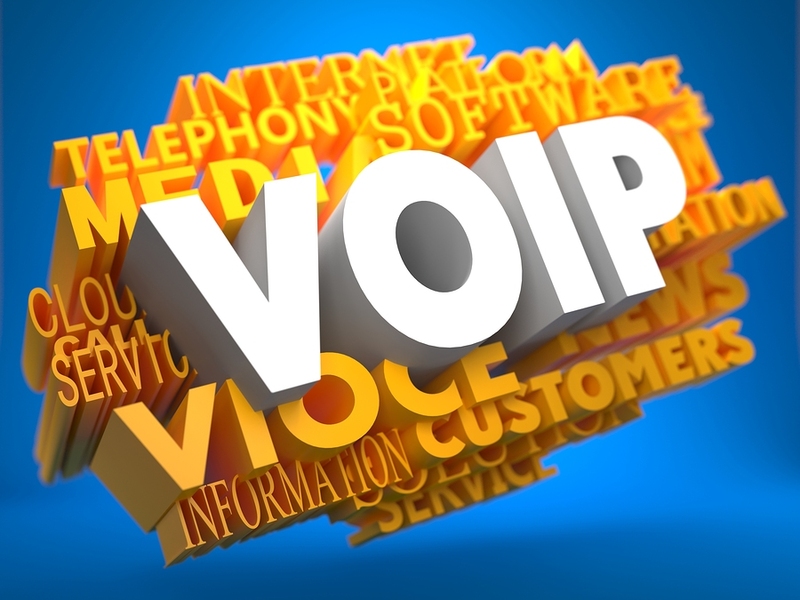 In fact, the reasons for moving to VoIP are so compelling that they are now the business standard. CTO Telecom offers both On-Premises VoIP or Cloud VoIP – give us a call to discuss which solution is best for your business.